The Tax Cuts and Jobs Act made significant changes to the tax law, including increasing the standard deduction, eliminating personal exemptions, increasing the child care tax credit, limiting or discontinuing certain deductions and changing the tax rates and brackets. 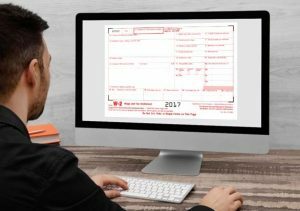 While these changes did not affect the 2017 tax returns they will affect the 2018 tax returns filed next year. For this reason the IRS is continuing to push a “paycheck checkup” for all employees but especially seasonal or part-time employees. To assist employees the IRS unveiled several new features to help people navigate the issues affecting withholding in their paychecks. The effort includes a new series of plain language Tax Tips, a YouTube video series and other special efforts to help people understand the importance of checking their withholding as soon as possible including a withholding calculator. Employees can use the Withholding Calculator to estimate their 2018 income tax. 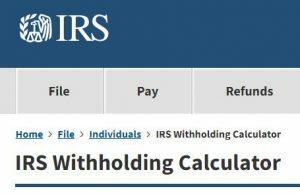 The Withholding Calculator compares that estimate to the employee’s current tax withholding and can help them decide if they need to change their withholding with their employer. When using the calculator, it’s helpful to have a completed 2017 tax return available. 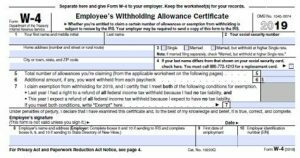 Employees who need to adjust their withholding will need to submit a new Form W-4, Employee’s Withholding Allowance Certificate, to their employer. If an employee needs to adjust their withholding, doing so as quickly as possible means there’s more time for tax withholding to take place evenly during the rest of the year. But waiting until later in the year means there are fewer pay periods to make the tax changes – which could have a bigger impact on each paycheck. People working two or more jobs or who only work for part of the year. People with large tax refunds or large tax bills for 2017. The FBI is now warning employers of a possible phishing scam taking place. This one targets the employees themselves. It focuses on companies that use self-service platforms where employees can view the ir pay, get duplicates of W-2s and update direct deposit information. The fraudsters are impersonating the employer’s human resources department and asking employees to update or confirm their personal information via a fake website. The employee receives a fake email that asks the employee to click on the link provided to log into his self-service account. The email asks the employee to logon to view a private email from HR, to view changes that have been made to their account, or to confirm that the account is still active. By clicking on the link and entering their self-service credentials, the employee is actually giving their logon information to the fraudster. The fraudster than can go into the self-service account himself and access all of the information including W-2 and pay stub info. He can also change the direct deposi t information. 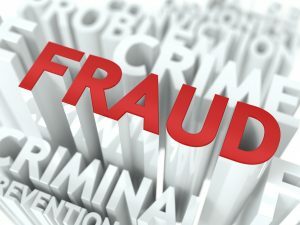 In order to prevent the victim from from knowing what is going on, the fraudster will also change the email address that the self-service platform uses to send alerts when changes are made. Payroll and human resources professionals need to be on the lookout for this type of email. With the new tax bill causing new tax withholding decisions, many employees are making good use of these types of self-service portals. This will be especially true when the new Form W-4 is issued by the IRS. Employees will want to make sure they have the proper withholding under the new tax tables. And it would not be “unusual” for payroll or HR to send out emails during this time-frame. It is also imperative to practice what the FBI calls “good email hygiene”. Train your employees to watch for phishing attacks and to also check the actual email address rather than just looking at the display name. Both these items can be crucial to seeing the attack early, before the damage is done.